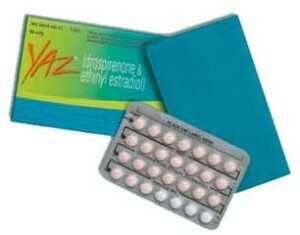 Large-scale resolution of lawsuits related to the popular birth control drugs Yaz and Yasmin continues to progress, with the achievement of settlements in hundreds of blood clot cases and the recent revelation that similar outcomes are likely in several hundred additional matters pending in the multidistrict litigation (MDL) before Judge David Herndon. According to the minutes of a November 5 status conference in the MDL, steps are being taken to facilitate the conclusion of as many lawsuits as possible before the parties are again scheduled to appear before Judge Herndon in February of 2016. Settlement of Yaz lawsuits brought by women who alleged serious harm resulting from their use of Bayer’s drospirenone-based contraceptive drugs began to occur almost four years ago, and negotiations in many such matters continue to this day. Over 13,000 lawsuits concerning these medications have been filed, with plaintiffs routinely arguing that the drug maker did not provide sufficient warnings about known risks of blood clots, strokes, heart attacks and other adverse side effects. The most recently reached Yasmin and Yaz settlements began to take shape prior to the start of trials initially scheduled for January of 2012. Once Bayer started achieving resolutions in cases concerning venous thromboembolism injuries, Judge Herndon called for settlement talks, postponing trial dates along the way. By July of 2015, Bayer had agreed to payments totaling no less than $2 billion in order to resolve roughly 10,000 Yaz/Yasmin cases, including virtually all claims relating to gallbladder injury and venous clot complications. Bayer was long resistant to settling matters related to arterial thrombotic events including strokes and heart attacks, but on the eve of trial in the first few matters of that type, Bayer announced its willingness to pay approximately $57 million to settle another 1,200 cases. In August of this year, Judge Herndon instructed the parties to undertake a census of claims still outstanding in order to gauge how much resolution work was left to do. Minutes of the November 5 status conference reveal that roughly 89% of all arterial thromboembolism plaintiffs have indicated their willingness to take part in Bayer’s settlement program. Judge Herndon has charged the parties with determining why remaining litigants have yet to do so in order to encourage final resolution. In addition, the minutes indicate that over 400 venous thromboembolism cases had been settled since the prior status conference in the MDL. Another 420 matters have since been identified as being ripe for negotiation, with the parties expressing their belief that settlement in all of them is achievable. Judge Herndon instructed both sides to review and heed all settlement participation requirements and deadlines contained in prior case management orders. Eventual large-scale settlement of Yaz and Yasmin lawsuits would serve as the culmination of years of controversy surrounding the two so-called “new generation” birth control medications. Formulated with a new type of synthetic progesterone, Yaz and Yasmin rapidly gained popularity not only as a contraceptive agent, but also as a drug capable of treating adult acne. However, it was not long before adverse event reports began to accumulate, including claims of Yaz-related strokes, heart attacks and gallbladder disease. Ultimately, the U.S. Food and Drug Administration conducted wide-ranging investigations into the drug’s safety and eventually mandated stronger warning labels for each of these medications.